Unidentified Network. 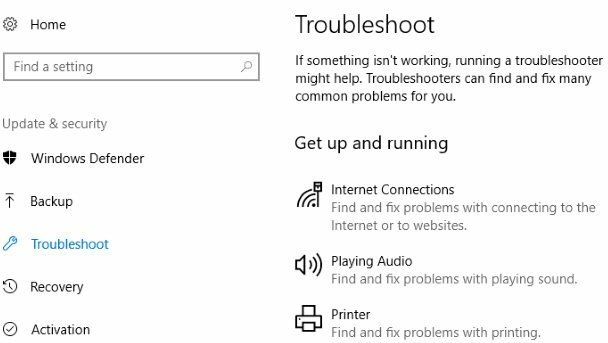 No network access error is well known from previous versions of Windows. In new Windows 10 the “Unidentified Network” error looks a bit different, but the problem itself and the solutions remain the same. The appearance of this error indicates that there are problems with Internet connection. In case your computer connected to ISP (or router), you can see a yellow exclamation point over the Ethernet cable near the Internet connection icon in the notification panel. In the Network and Sharing Center near the connection (Ethernet adapter; which is used to connect to the Internet) you will notice an inscription Unidentified Network. No network access. If you are facing similar problem, the recommendations below should help you. We’ll start with the simplest solutions. In case you connected to the Internet without a router via the Ethernet cable from ISP, it makes sense to make a phone call to support team of your ISP, and explain the problem. It is possible that the provider has some technical issues. If the above recommendations didn’t help, try the next methods below. This method very often helps to solve various problems with connecting to the Internet. 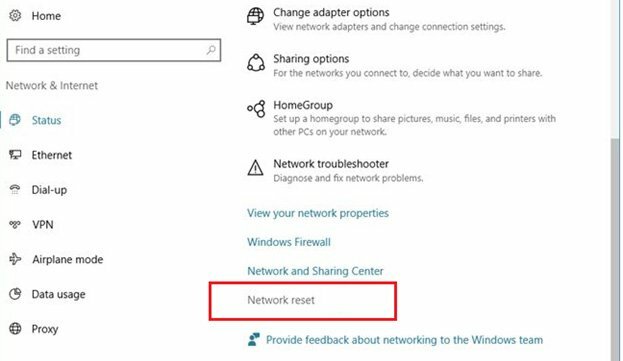 In Windows 10 making a network reset is easy with just 6 clicks. Open modern Settings -> Network & Internet -> Status. Scroll to the bottom of the page and click on the Network reset button and confirm. This error can also be caused by problems in the operation of the DHCP server on the router (whose task is to distribute IP addresses). Therefore, reboot the router. 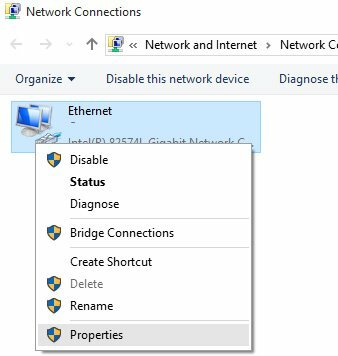 Try to Disable and then Enable your Ethernet connection via Control Panel. Check the current IP address (ipconfig). If it starts with 169.254, this means that the computer is not able to get the IP address from the DHCP server. Perhaps the problem is in the IP settings for the IPv4 protocol in the properties of your Internet connection. If some static parameters are already setting there, it is quite possible that they are set incorrect. You can try to set the automatic obtain of IP or prescribe static settings (if connected through a router, or your provider gives a static IP). Go to the Control Panel -> Network and Internet -> Network Connections right click on your network connection and select Properties. Select Internet Protocol Version 4 (TCP/IPv4) and press Properties. Another window will open and here you can set the necessary IP settings for this connection. 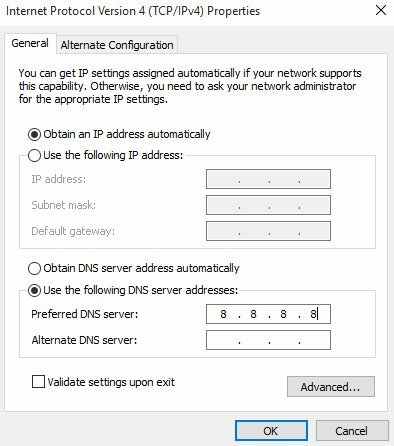 If you have already set some parameters, you can try to set Obtain an IP address automatically and Obtain DNS server address automatically (also you can specify Google DNS server IP address – 8.8.8.8). Settings that are listed is desirable to remember (you can make a screenshot for example; perhaps you might need them to be prescribed back). If this doesn’t work, then it’s better to return the previously specified settings. 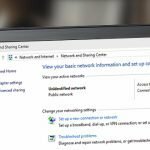 In some cases the changing of MAC address for the adapter which is used for Internet connection can help. How to change the MAC address we described in the article How to Reset TeamViewer ID. 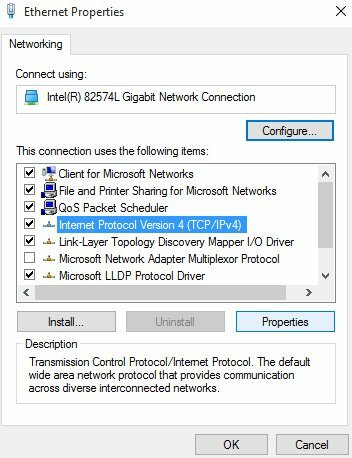 In some cases the removal of Ethernet adapter and the re-installation (update) of its driver can help.